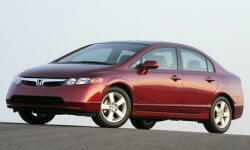 Why the 2008 Honda Civic? Why Not the 2008 Honda Civic? clutch exploded after 9k miles and dealership and honda usa gave a huge fight as to why it shouldnt be warranty then after much fighting decided to cover it.